The literature review relating to the subject matter of the study considers three areas: definitions of forgiveness, Christian understandings of forgiveness, and the prior studies on Christians’ practice of granting forgiveness to other people. Rye & Pargament (2002) define forgiveness as letting go of negative feeling (e.g., hostility), negative thoughts (e.g., thoughts of revenge), and negative behaviour (e.g., verbal aggression) in response to considerable injustice, and also may involve responding positively toward the perpetrator (e.g., compassion). There are two types of forgiveness (Worthington, 2003; Exline, Worthington, Hill, & McCullough, 2003; Worthington & Scherer, 2004; Wade & Worthington, 2003), namely decisional forgiveness and emotional forgiveness. The former involves a change in a person’s behavioural intentions, or a change in motivation, toward a perpetrator. The latter is a replacement of negative, unforgiving emotions with positive, other-oriented emotions. At first, the positive emotions neutralize some negative emotions, resulting in a decrease in negative emotions. Once the negative emotions are substantially removed, positive emotions are built. Most researchers agree that forgiveness should be distinguished from reconciliation (Enright & the Human Development Study Group, 1994; Freedman, 1998), legal pardon (Enright & the Human Development Study Group, 1991), condoning (Veenstra, 1992), and forgetting (Smedes, 1996). Defining forgiveness using these distinctions allows people to forgive without compromising their safety or their right to pursue social justice. One serious problem is whether forgiveness definitions employed by scholars or researchers are commonly understood by laypersons. 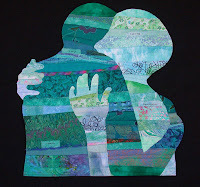 Researchers had noticed that there is tendency for both researchers and laypersons to assume a common understanding of forgiveness (Younger et al., 2004; Lawler-Row et al., 2007). DeCourville et al. (2008) also recognized that researchers have apparently little concern with how forgiveness is actually experienced by laypersons. This study is designed to try to understand how people, especially Indonesian Christians, experience and define interpersonal forgiveness for themselves. Christian understandings of forgiveness start with Scripture. The word forgiveness brings to mind memorable biblical texts, such as the prodigal son (Luke 15:11-32), Jesus’ command to forgive seventy times seven, and the parable of the unmerciful servant (Matthew 18:21-35). When instructing the disciples to pray, Jesus prayed by saying “Forgive us our debts, as we also have forgiven our debtors.” (Matthew 6:12, NIV). Even while being crucified, Jesus prayed that God would have mercy on the people responsible, praying “Father, forgive them, for they do not know what they are doing” (Luke 23:34, NIV). All people bear the image of God and have the capacity to be forgiving. Forgiveness is necessary because all people are affected by the fall and experience brokenness in their relationships with God and each other (Witvliet, 2001). Worthington (2003) argues that gratitude, love, humility, justice, and forgiveness are the major emotions and motivations of Christianity. Christians believe that God is always the initiator of forgiveness, and the expected response to God’s love and forgiveness is gratitude (Psalm 50:14, 23; 1 Thessalonians 5:18). Refusal to forgive someone who hurts us indicates not just ingratitude, but a failure to have received God’s forgiveness. Gratitude, in effect, creates a path where God’s forgiveness can flow through Christians to others. Following Jesus’ instruction, example and commands – out of gratitude for what God has done for them – Christians are to forgive even their enemies. That is the radical teaching and example of Jesus Christ. Agape love is Christian’s response to the love of God and is the act they are inspired to do for others (Matthew 22:37-40; Mark 12:28-34; Romans 13:9; Galatians 5:14; James 2:18). Christianity also gives special importance to humility (Philippians 2:1-11). Apostle Paul urged people to think of themselves the way Jesus thought of himself: to lay down one’s life on behalf of others and to count others as better than oneself (Philippians 2:3). Apostle Peter counted humility as a cardinal virtue (1 Peter 3:8-9). Christians believe that God is a just God. He is the essence of justice. He demands that Christians be fair and just as well (Micah 6:8). God is merciful and forgiving (Exodus 34:6-7). Therefore, Christians are also to be forgiving. Theoretical and empirical research shows that Christians are more adept at forgiving on the whole than are non-Christians (Worthington, 2003; Tsang, McCullough, & Hoyt, 2005). People who are highly committed to Christian beliefs and communities, often value forgiveness highly. They are especially likely to forgive quickly because of the power of their beliefs and values. In fact, people with high religious commitment tend to employ their religious beliefs and values across more situations and throughout a longer duration than those of moderate religious commitment (Worthington, 1988; Worthington, Kurusu, McCullough, & Sandage, 1996). Gorsuch & Hao (1993) surveyed 1030 participants – a representative sample of American adults. They found that people who were more religiously involved continued to place more value on forgiveness than those who were less personally religious. Consistent with traditional Christian teachings, Protestants, Catholics, evangelicals, and the more personally religious generally reported more forgiving responses than Jewish, no/other religious preference, non-evangelical, and less personally religious respondents. More recently, Gordon et al. (2008) examined the influences of religious orientation to one’s decision to forgive an actual (as opposed to hypothesized) transgression. The results suggested that individuals whose religious beliefs were more intrinsically oriented reported themselves as more forgiving of an actual interpersonal betrayal, whereas high extrinsic religiosity was predictive of higher scores on a vengefulness measure. Individuals with high extrinsic religious orientation were more likely to be influenced by social pressures to forgive. Taken together, the results reveal that one’s religious orientation may be an influential factor in how and why we choose to forgive others. Thus, there is a growing body of research documenting the relationships between religiosity and forgiveness. However, as with virtually any research, there are limitations to the studies described previously. Although Gorsuch & Hao’s (1993) study was based on a nationwide random sample of American adults, its findings only reveal what people think and believe about forgiving others; it does not reveal that religious involvement actually influences the extent to which someone is willing to forgive another in an ongoing relationship. The research conducted by Gordon et al. (2008) relied on self-report inventories. When less obtrusive means of data collection is used, attention should be given to biases such as social desirability that might lead religious respondents to report that they are actually more “forgiving” than they actually appear to be. The relationship between personal religiousness, spirituality, and forgiveness remains to be examined more fully through in-depth measurement of people’s thoughts, feelings, and behaviours toward their perpetrators. Another research study suggests that forgiveness is experienced differently. Krause & Ingersoll-Dayton (2001) studied 129 Christians (79 Caucasian, 50 African American) age 65 and over. Results clearly indicated differences: Some Christians forgave quickly, often through imitating God, adhering to Scripture to receive forgiveness from God, or to get other benefits. Other Christians required the perpetrators to do acts of contrition before being willing to grant forgiveness. These acts of contrition involved things such as (1) be aware of wrongdoing, (2) be sorry, (3) express contrition, (4) apologize, (5) ask for forgiveness, (6) offer mitigating account of the transgression, (7) say they will try not to repeat the transgression, (8) change their actual behaviour, (9) make restitution, (10) empathize with their suffering, (11) suffer themselves, (12) try to convince the victim that the perpetrator still values the relationship, or even (13) have the perpetrator keep on giving even after being forgiven. Krause & Ellison (2003) examined the relationships among forgiveness by God, forgiveness of others, and psychological well-being by interviewing 1,316 elderly Christians, of which about half were Caucasian. They found that elderly Christians who required acts of contrition experienced higher depression, more somatic symptoms, less life satisfaction, and more death anxiety than those who forgave unconditionally. People who felt more forgiven by God were 2 ½ times as likely to forgive without requiring acts of contrition. This review aimed specifically to explore Christians’ experiences of forgiving their perpetrators. From Scripture, we would expect Christians to forgive more and better than other people. As Worthington (2003) maintained to the degree that Christians practice mercy and gratitude, surrendering to God, and unconditional love without excusing injustice, they ought to be expected to emotionally forgive more often than people whose beliefs and values are different from theirs. Moreover, to the extent that Christians practice responsibility, self-control, justice and accountability, they ought to be expected to proffer decisional forgiveness more than people whose beliefs are different from theirs (Worthington, 2003). That being said, only because Christians are expected to forgive does not mean that Christians always do forgive. Research conducted by Krause & Ingersoll-Dayton (2001) showed clearly that not everyone experienced forgiveness similarly. Some people forgave instantly. Other people were more reluctant to forgive or intentionally held grudges. Still other people believed that perpetrators had to earn forgiveness through apologizing, suffering, or making restitution. This discrepancies are not as much as Christians might hope, given the central position of forgiveness in Christian doctrines.